Socks designed to stay-out without being seen to make your workout comfortable. 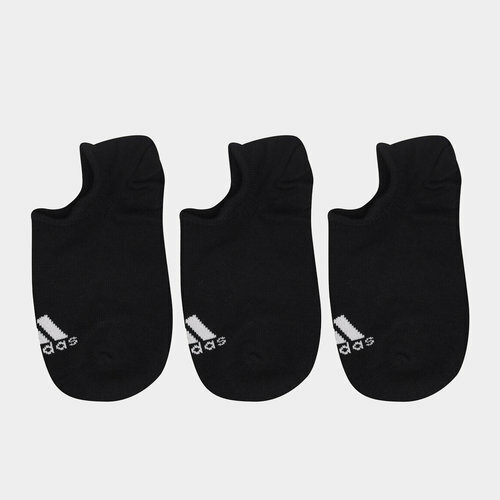 Wear these adidas Performance Invisible Socks in Medium Grey Heather, White & Black now - 3 Pack. Don't let anything stop your workout form being the best it can be when you pull on these no-show socks. They come made from a soft, stretchy cotton blend and feature a no-slip construction on the cuff that keeps the socks in place as your training really heats up.